Kristina Smock Consulting provides applied research and evaluation services to nonprofits, governments and foundations. Kris specializes in developing and implementing community-based research and evaluation projects that require creative, pragmatic approaches. She works with each client to create a custom project design and workplan, and she engages clients at every step to ensure the final products meet their needs. Deliverables can include internal summary documents, formal written reports, data visualizations, public presentations, evaluation tools and data collection materials. 211info, Connecting Clients with Services: Conducted a survey and focus groups to identify strategies to better support the work of front-line health and human services staff to connect clients with resources to meet their needs, 2011. Meyer Memorial Trust, Affordable Housing Initiative: Conducted an evaluation of the first five years of Meyer's Affordable Housing Initiative, coordinated the development of a framework for a new five-year Initiative, and conducted annual evaluations of the new Initiative, 2012-ongoing. New Avenues for Youth, Younger Youth Report: Researched and wrote a report analyzing why homeless youth under age 18 are a declining portion of the youth served by Multnomah County’s homeless youth system and how the community can best meet their needs, 2012-2013. 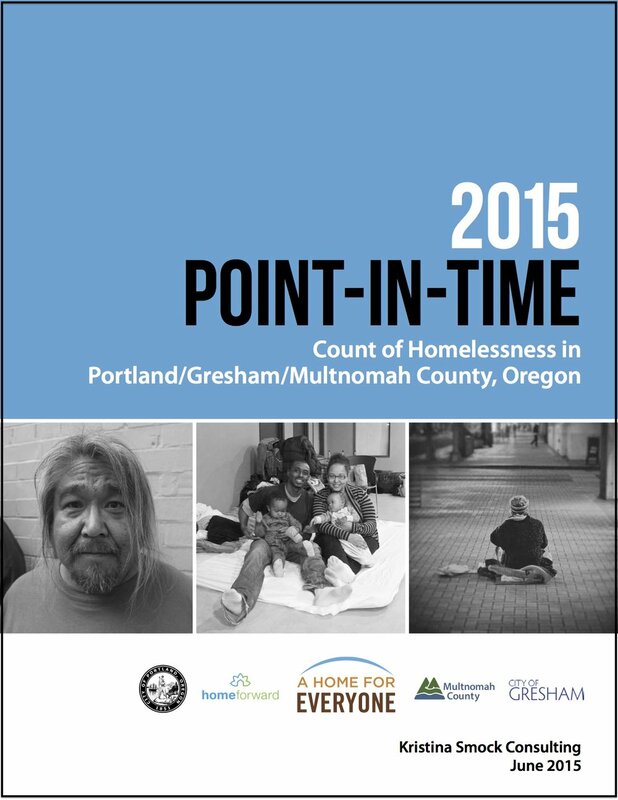 Portland Housing Bureau, Point-in-Time Count of Homelessness: Coordinated bi-annual Homeless Street Counts and wrote comprehensive reports on homelessness in Portland/ Multnomah County, 2008-2015.